Women played key roles in the development of computers, but you wouldn’t know it by looking at Silicon Valley. A hostile culture has pushed them to the fringes of America’s technology hotbed. A new book says thinking differently would pay dividends for women, and the industry. 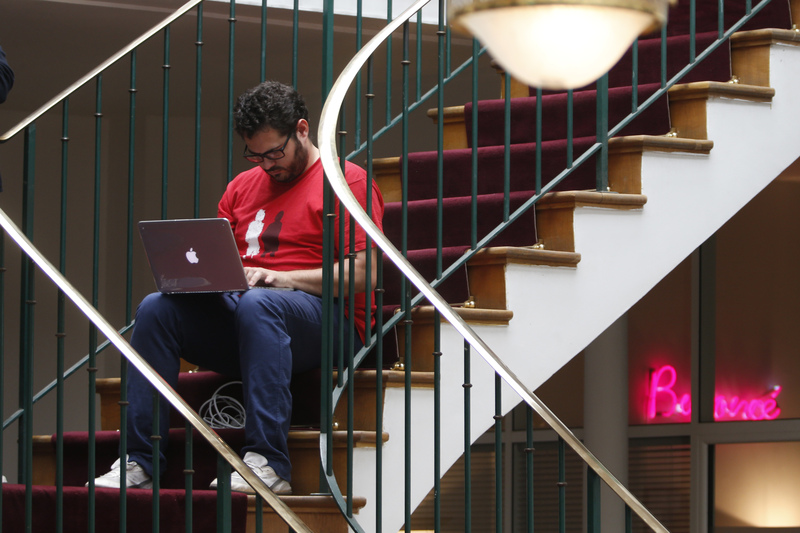 A entrepreneur works at his computer laptop at the so-called "incubator" of French high-tech start-ups "TheFamily" in Paris, France, July 27, 2015. “Brotopia: Breaking up the boys’ club of Silicon Valley” by Emily Chang was published on Feb. 6 by Portfolio/Penguin.